Welcome to Flawed yet Functional! My diet is currently the Autoimmune Protocol plus a few reintroductions. I’ve been working to heal my gut (and manage my Type 1 Diabetes) through this diet for almost 150 days, so I know a thing or two about AIP friendly recipes! 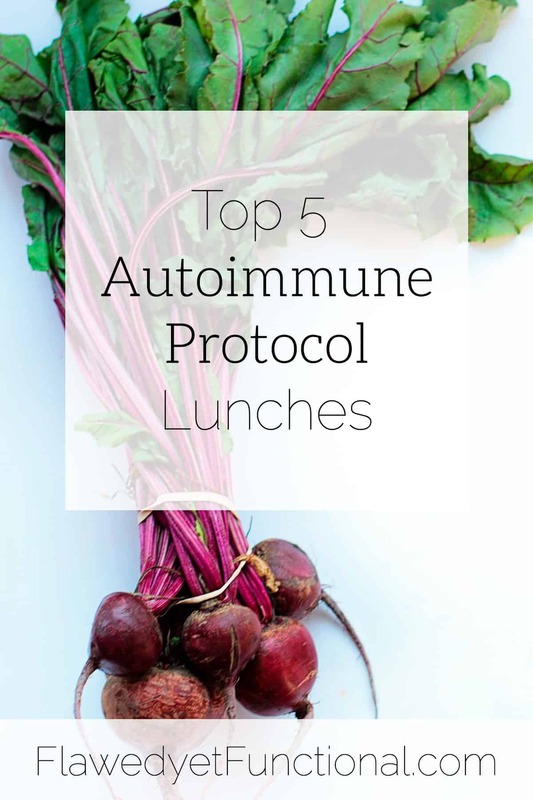 Continuing on with my top 5 Autoimmune Protocol recipes mini-series, today I’m sharing my top 5 Autoimmune Protocol lunches. (To see my top 5 breakfasts click here!) If you want to dip your toes into a diet change, start with these tried and true recipes! Truthfully, most of our lunches are leftovers from the night before, but I always have ingredients on hand for a quick, easy, freshly-made lunch just in case the leftovers run out. Most of the meats used in these meals are ones that have a long shelf life: kielbasa (kept in the freezer), salami (kept in the pantry or fridge), canned salmon (kept in the pantry). Since these are my second-string lunch options, I don’t buy the meat often. They are more of a “just-in-case” lunch option hence the need for a long shelf-life. Let’s check out these quick, easy, and healthy recipes! Who doesn’t love broccoli cheese soup? This soup is dairy-free, believe it or not. The cheese-y flavor comes from nutritional yeast. Likely, you will need to plan ahead for this meal as nutritional yeast is probably not in your regular pantry stocking! I love the rich flavor the soup contains while not coming off heavy. Pair it with fresh fruit and a side salad or just eat it by itself! Take note that the recipe I linked to is made with Bratwurst which is not AIP compliant (contains ground mustard and mace). 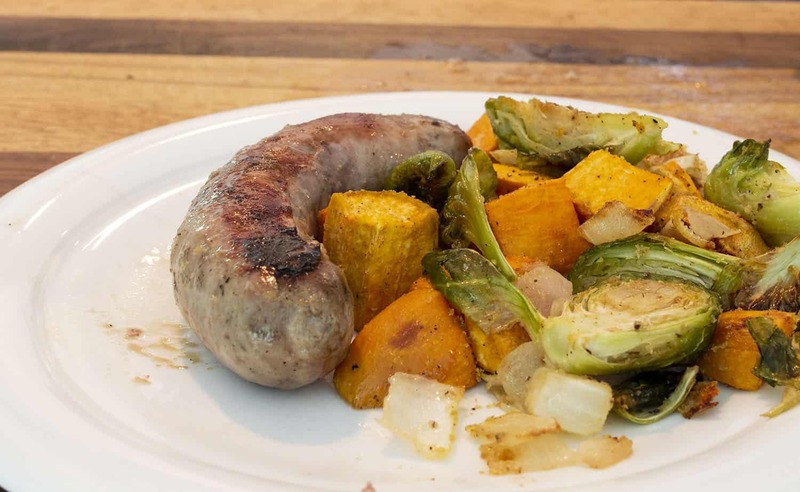 If you’d like to make this recipe, change the meat to Kielbasa which contains only spices that are AIP approved (black pepper, marjoram, and garlic). However, if purchasing from the store, always read the labels! I recently found hot dogs and brats with dairy in them! What I love about this recipe is it tastes like you put a lot of effort into the meal, but really, you just chopped a couple veggies and tossed them in the oven. Roasting brings out the best in vegetables, I recommend you roast veggies any time you can! While I don’t want to push eating lunch meat all the time, there is a time and a place for quick protein. 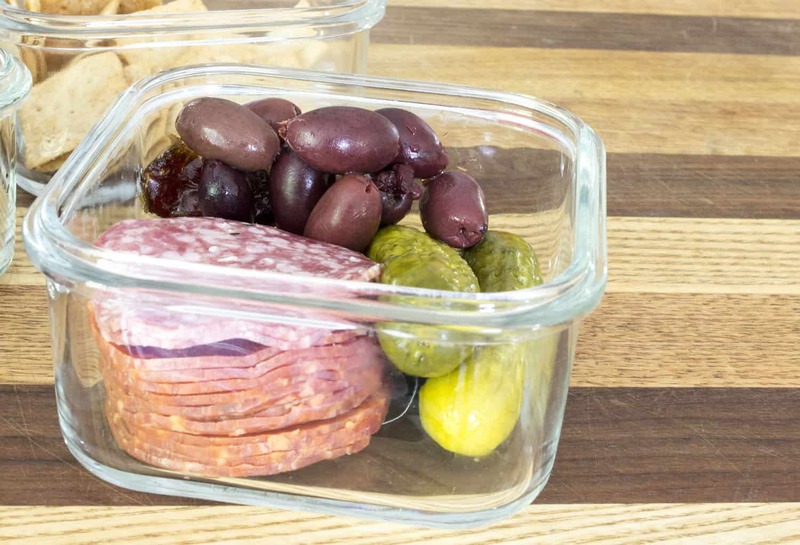 Salami (original, not spicy as that has nightshades) is my first choice when I’m putting together a “snack-y” lunch either at home or on the go. My favorite flavor combination is salami, Kalamatta olives, pickles, and dates. I serve these with a fresh fruit and something crunchy like pork rinds. Canned salmon or tuna is a pantry item I always have on hand for a quick lunch or dinner. These salmon patties are unique in that they don’t use eggs. Eggless salmon or tuna patties are hard to come by! They are more fragile than usual salmon patties, but the flavor is good so I can handle a bit of crumbliness. Chicken salad that is creamy and dairy-free?!? Does it exist?? It sure does, and this version rocks! The coconut milk is a great creamy base and the flavor is jazzed up by the addition of lemon zest and lemon juice. The citrus helps cut the coconut flavor and give the dish the tang you would expect from traditional yogurt or sour cream based chicken salad. This recipe is excellent! Try it today! Eating nutritious, easy lunches while on the Autoimmune Protocol IS possible. 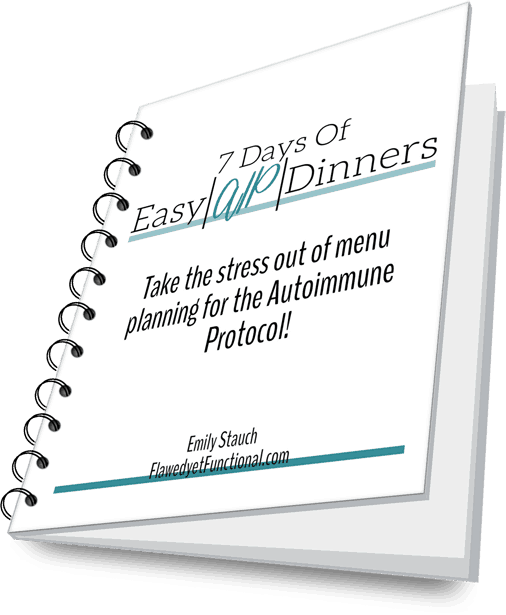 Plan on leftovers from dinners as much as you can then use these simple top 5 autoimmune protocol lunches to help round out your lunch menu plan! What is your ideal lunch? Do you like to cook at lunch time or is the microwave your best friend for this meal? Check out the rest of this mini-series!